Our Mission: Compassionate Care, Advanced Medicine, Close to Home. NorthBay Healthcare leads the way in providing advanced medicine to the people of Solano County. Our compassion, our commitment to excellence, and the depth and breadth of our services, is a testament to our enduring commitment to the local community. We strive to ensure that local residents remain near home for most of the health services they'll need in their lifetimes. We Honor Veterans (WHV) - Four Star Level. We Honor Veterans (WHV) - Four Star Level. NorthBay Healthcare is recognized as a We Honor Veterans Level Four Partner for our commitment in ensuring Veterans have access to quality end-of-life care. As a Level Four partner we provide Veteran-centric education for staff and volunteers, identify patients with military experience and build organizational capacity to provide quality care for Veterans. 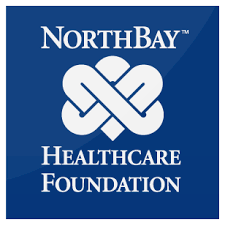 NorthBay Healthcare is recognized as a CAHSAH member. CAHSAH is a nonprofit association representing California's homecare providers. NorthBay Healthcare's hospitals in Vacaville and Fairfield have earned the coveted Magnet Recognition. It means we're all about delivering the best patient experience possible. Accreditation from The Joint Commision which evaluates and accredits nearly 18,000 health care organizations and programs in the United States. All donations received will benefit NorthBay Hospice and Bereavement services, a program in which no family is charged regardless of ability to pay.